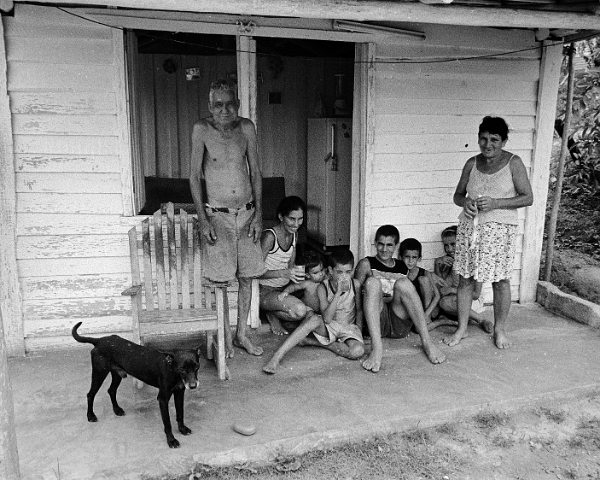 TThese people are part of a three-generation family living in this two bedroom house in the country, an hour outside the city of Pinar Del Rio. Other family members were at work in the rich agricultural fields where the world’s finest cigar tobacco is grown. Access to town is by walking about a mile to the paved highway then catching a ride in the back of a passenger truck.